SHW Business Space have completed the long leasehold sale of Unit 11, Graylands Estate, Horsham (1,730 sq ft) to United Washrooms. The self-contained industrial/warehouse premises with loading door and mezzanine is one of five new-builds on the Estate. Block B consists of four B1 office suits available on a 999 year lease available with SHW and Crickmay. 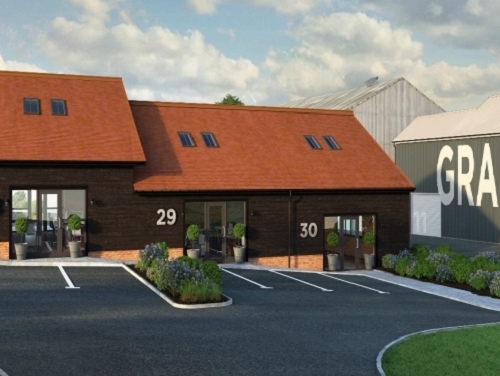 According to new SHW data industrial/logistic demand and rents are rising in the area, and it is anticipated mid-Sussex speculative builds will be rewarded in a rising market.